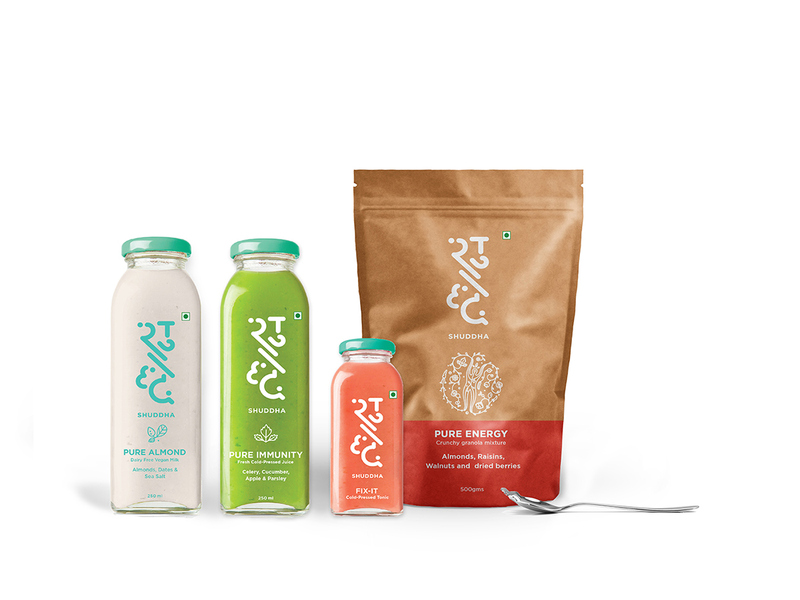 Based in New Delhi, Shuddha is a new venture which aims to encourage a wholesome and healthy living through their foods. 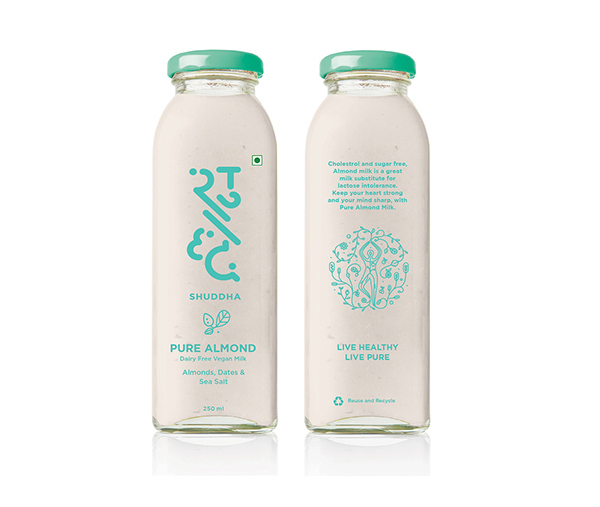 Currently Shuddha is in the process of launching vegan juices, nut milks and some smoothies. They hope to expand to a range of foods like butters, granola mixes, yogurts, salads, tonics and elixirs over time. 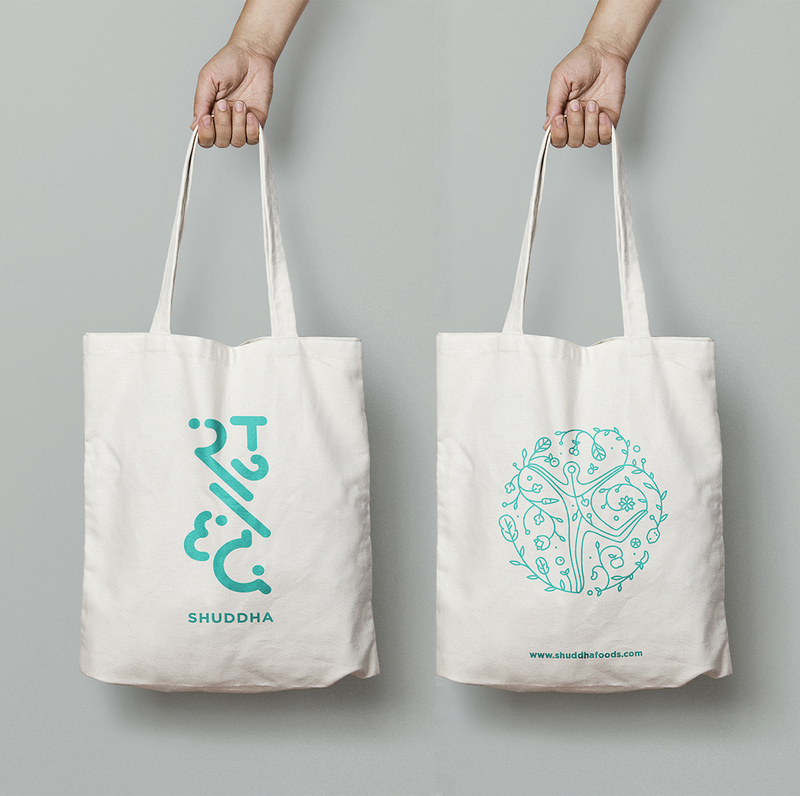 branding and package graphics for Shuddha products. We started by reading into the brief and identifying the main keywords. Our understanding of the brand evolved over time. 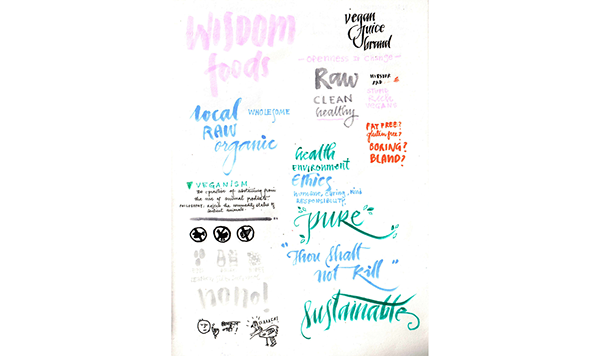 I thought of various visual routes we could work with, raw, earthy forms, explored bilingual options, thought of representing a healthy lifestyle through the identity. 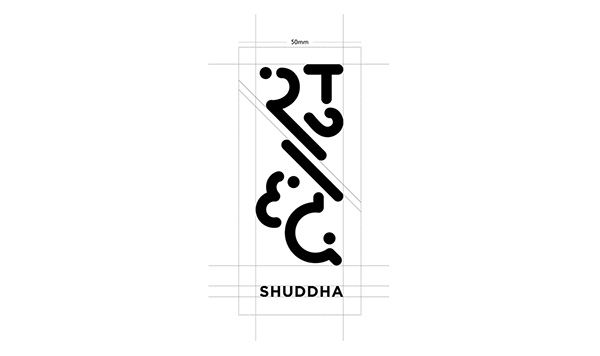 We decided to push for a devanagri logo, because the brand is called Shuddha, a hindi word which means pure. 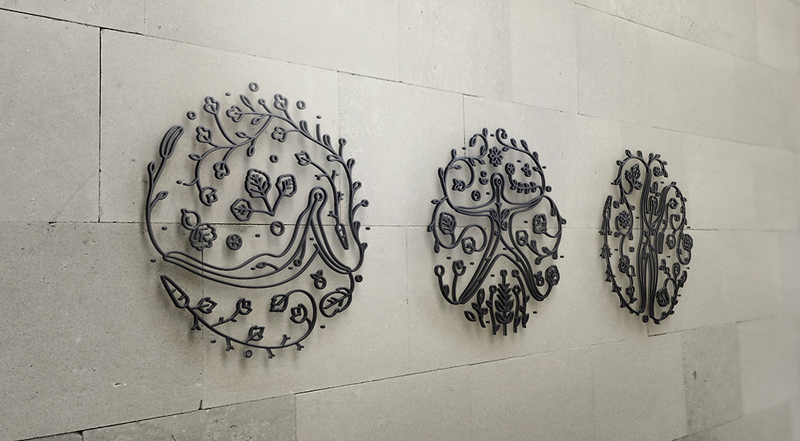 and the very fact that the name it self is in Hindi, drove us to explore Devanagri letterforms. After various rounds of iteration, and using various tools, we narrowed down to an elegant brush script logo. It was at this point this point that we realised that our logo was not communicating two important keywords that we had overlooked. Our logo was looking too traditional and not modern and high end. 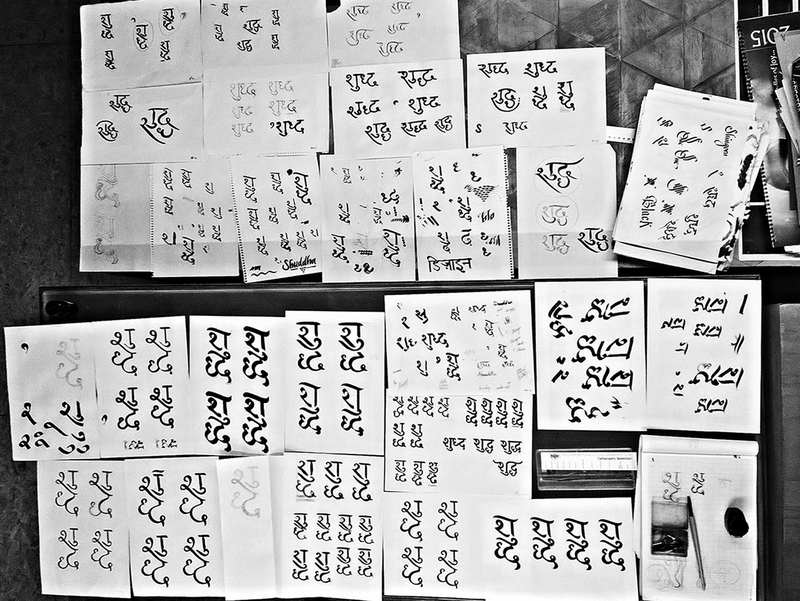 To communicate that, and to convince our clients that hindi can be cool too, we started deconstructing the logo. Teal was chosen as the primary brand colour to signify health and wellness. 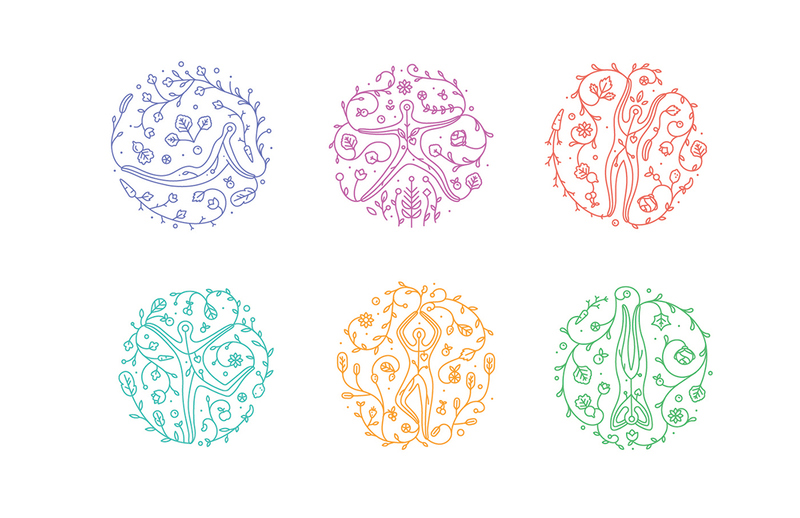 Next, I started working on the visual laguage which would accompany the logo. 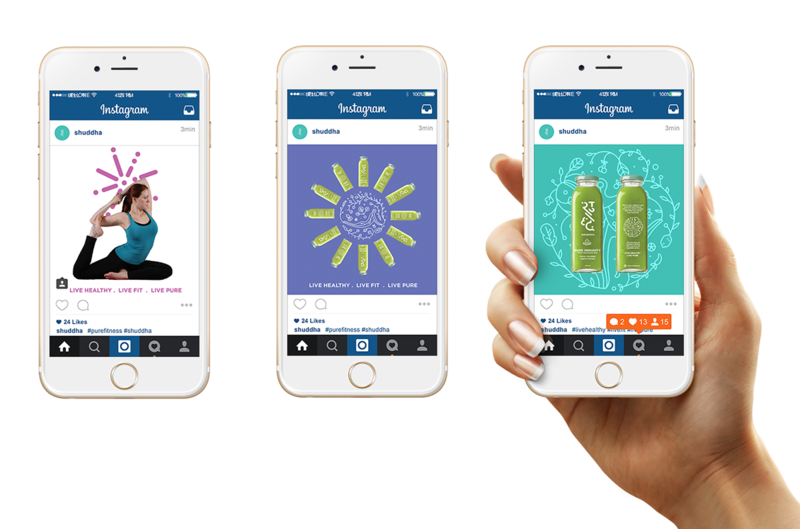 We decide to go ahead with the idea of communicating the importance of a healthy lifestyle.
. Using this illustration as a base idea, I stared refining the forms to match the monolinear logo and make them scaleable, on Illustrator. Stages of refinement. 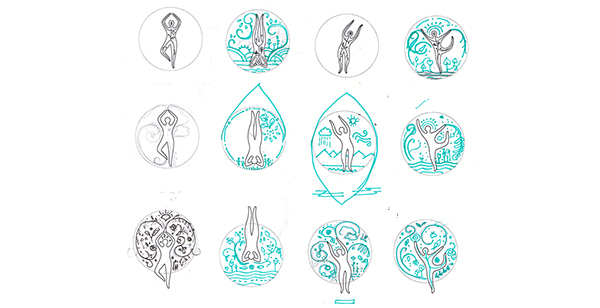 We took inspiration from yoga postures for the human forms. We realised that the pattern was looking to heavy and cluttered, so we broke down the illustration to individual units. 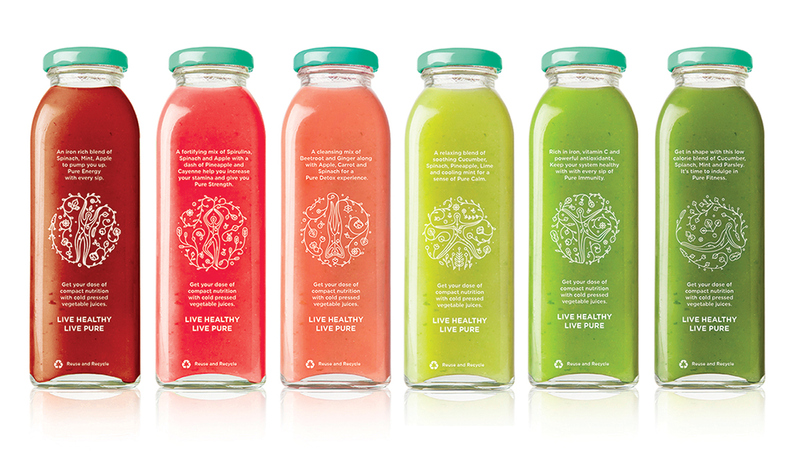 which is how the juices are planned to be. Each unit is inpsired a yoga posture for that very attribute. 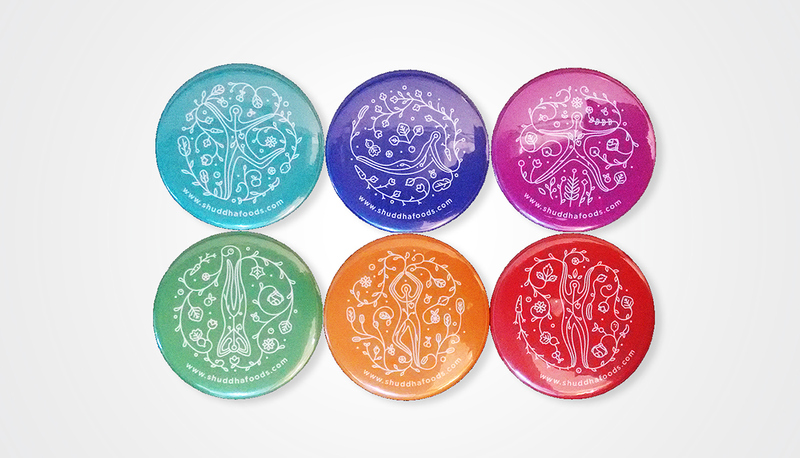 Even the colour for each unit has been selected on the basis of the principles of colour therapy. 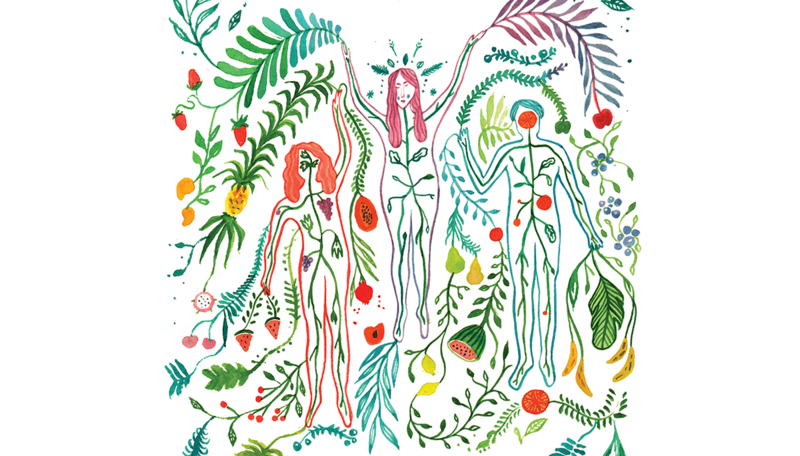 Inky blue for weight loss, purple-lavender for relaxation, red for energy, teal for immunity, yellow-orange for strength, green for detoxification. 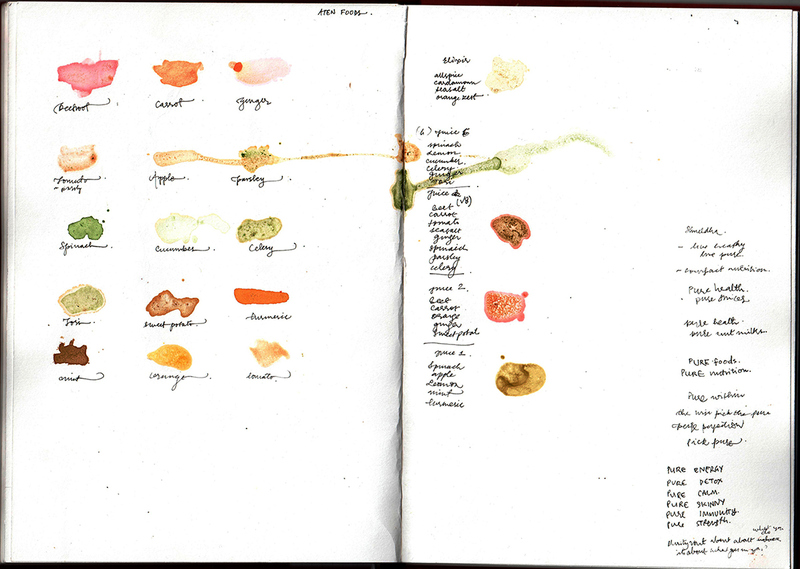 and it also lies between the cool and warm range of the selected colour palette. We proposed glass bottles to reinforce the idea of purity. 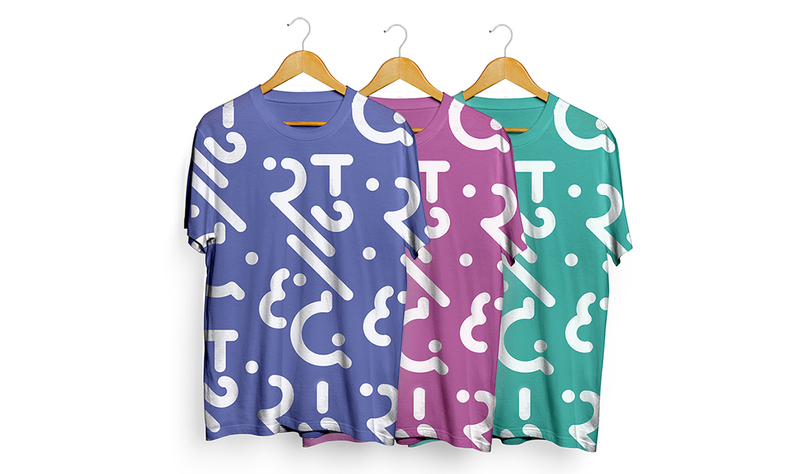 Read the entire branding process here. This project was guided by Mr. Tarun Deep Girdher, Sr. Graphic Design faculty, NID. I was also mentored by Mr. Sudeep Chaudhuri, Creative Director, Green Goose Design. Credits to the entire team at GGD; VR Mukund, Prateek Bhargava, Sakshi Babbar, Vinay Gupta, Bhagirath Vagamshi and Jasvinder Singh. 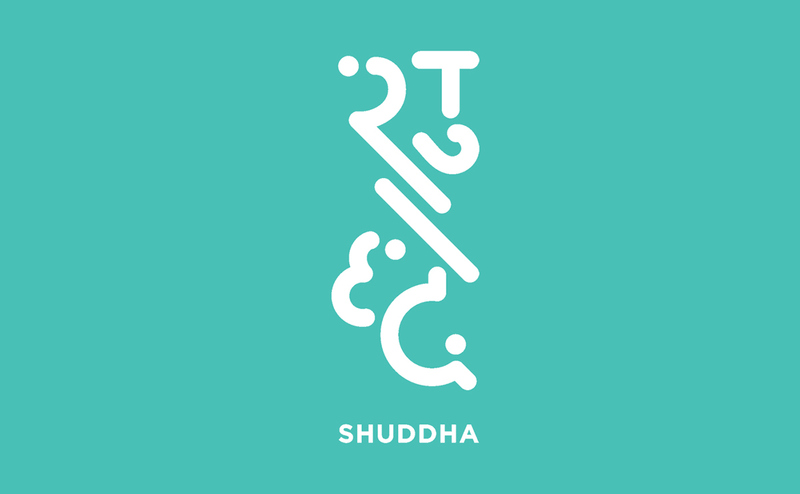 Brand Identity and collaterals for a New Delhi based health foods brand, Shuddha. Student graduation project done at NID guided by Mr. Tarun Deep Girdher, Sr. Graphic Design faculty NID and Mr. Sudeep Chaudhuri, former Creative Director at Green Goose Design. This project is strictly a student project.